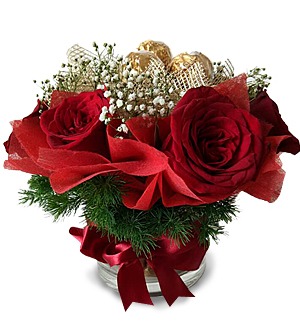 Stunning Roses and Ferraro Rocher Chocolates to serenade your sweet Valentine. Applicable for delivery within KLANG VALLEY (Kuala Lumpur, Petaling Jaya, Selangor, WP) ONLY. Contact Pods & Petals Giftlab at +603-78830233 / +6012-6915200 or sales@gift-lab.com for enquiries. © PODS & PETALS' GIFTLAB (M) SDN BHD. All rights reserved.